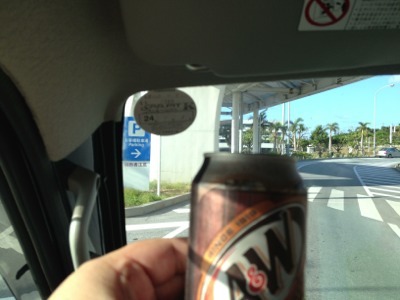 We had a carbonated drink of Okinawa called Root beer! It is my favorite drink! 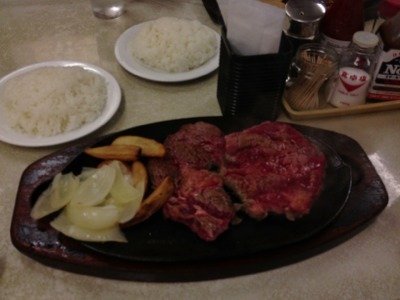 This is famous low in price steak restaurant in Okinawa. 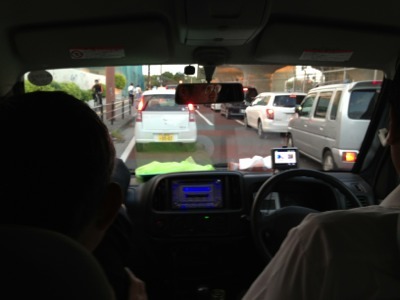 In the Pastor Nagato’s car. We are listening to Yasuragi no uta. 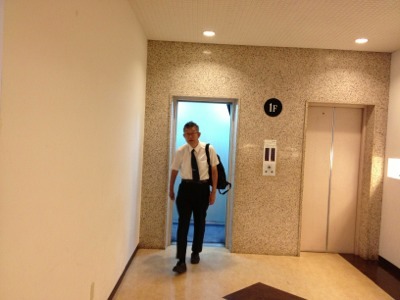 A meeting will be held today, and Pastor Akimoto is the main speaker of the meeting. 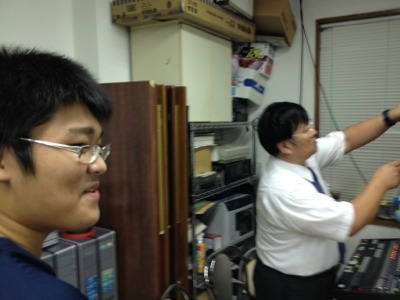 He is Joshua son of Pastor Nagato! 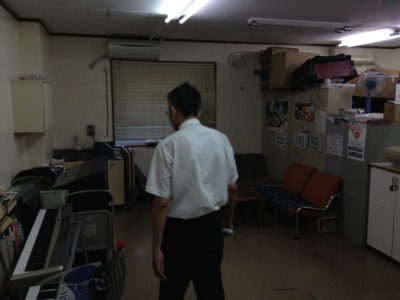 He looks like Pastor Nagato! 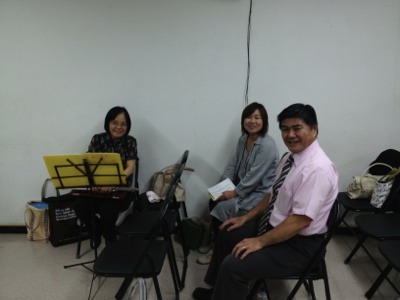 They are members of the gospel group of Okinawa. They will sing in the meeting today. 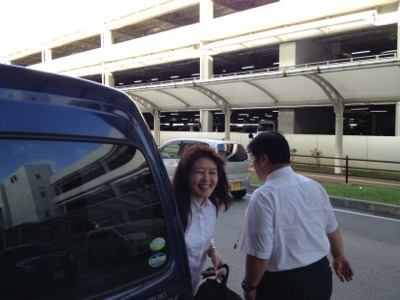 “Crosslord” the gospel team of Okinawa. 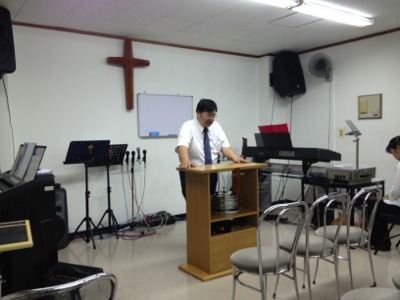 Pastor Nagato is presiding at a meeting.